Insurance Companies are Recognizing dōTERRA Essential Oils! Health Insurance is expensive. True Story!!!! Expensive for employers, employees, heck for everyone! People put off their retirement because they can’t afford healthcare! Did you know ..... It’s cheaper to be healthy than it is to be sick!!!! 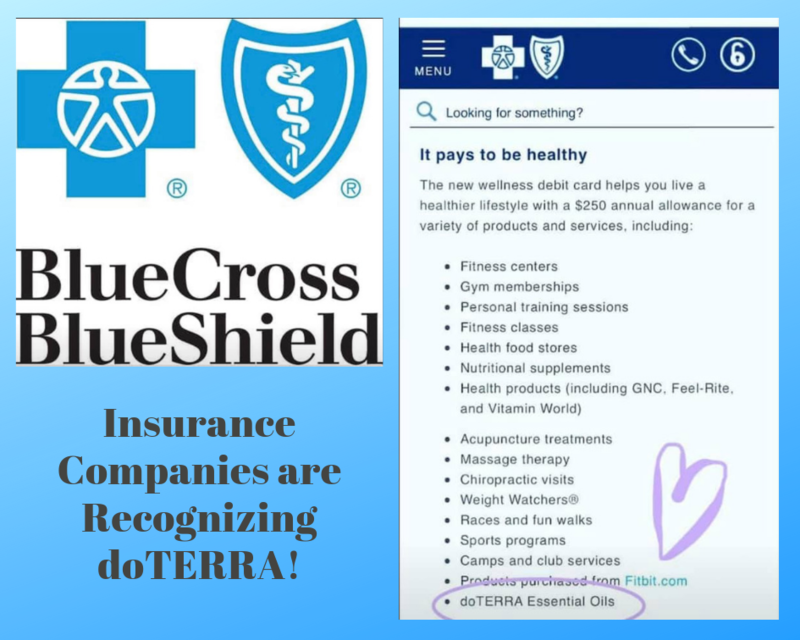 Blue Cross Blue Shield is the 1st company that I’ve seen to approve dōTERRA Essential Oils on their Wellness plans. 👏🙌. Insurance companies are approving these products because they actually work! It’s not a fad! When you use dōTERRA Essential Oils properly, they will change your life. 🥂Cheers to the new normal! This is the future of healthcare. 💡 Preventative Healthcare that works!!!! We are headed for another huge wave of growth. Seriously, every home needs these products. Don’t wait, join us! Use these products for your family. Need more info, please let me know. Are you ready to join my team and share oils with others? We have a huge growth ahead of us with our healthcare initiative. Prime Meridian is opening in Chicago soon... more around the country as well. Plus, now that insurance companies are seeing the results, things are really going to start moving!! Thanks to Kristy Breitcroft for the great info!